The original LP was released by the Praxis label in 1983. 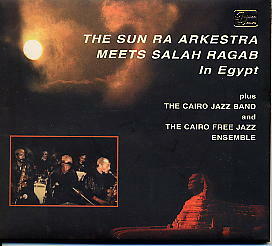 This CD includes the original seven compositions plus two bonus tracks previously unissued; and extensive liner notes by Hartmut Geerken (who invited Sun Ra to Egypt). This is a historic document and a must for any devotee of Sun Ra.